Shavuot is not only about receiving the Torah, it’s also about transmitting it. Unfortunately, dysfunctional parents are not able to transmit even the basics of Judaism to their children. This is why Keren Hayeled exists: To ensure that the Jewish way of life and values is passed on to all Jewish children so that the Torah will not be forgotten from Israel, G-d forbid! 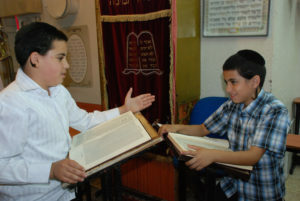 Please partner with us in imparting the Torah to these otherwise forgotten Jewish children.